This will make two matching patchwork pillow covers. ~If you'd like to use a 14x14 inch pillow form cut your squares 15x15 inches and the backs 15x16 inches. 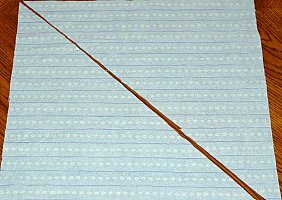 Using a yard stick or plastic ruler lay your ruler diagonally on one 16 x16 square. Draw a line with a fabric pencil or chalk. Do the same to the second 16x16 square. Cut on the diagonal line. Take one triangle from each material so you have two different colored triangles. 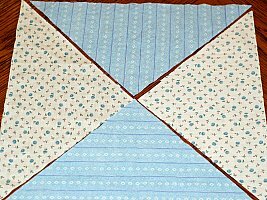 Put right sides together and sew down the diagonal to make a square. Set aside. Take the other two coordinating triangles and draw a diagonal line with a ruler like you did previously. Cut on line. Now you should have 4 smaller triangles. 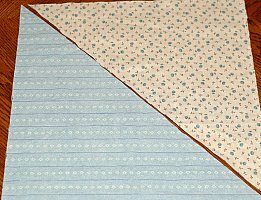 Take one triangle from different material and sew with right sides together. Continue until all your triangles form a square. For backing, cut squares in half. Now you have 4 rectangles. 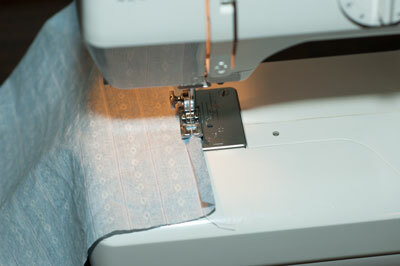 Turn one long edge down on a rectangle and sew. Pin if needed. Continue with all rectangles. 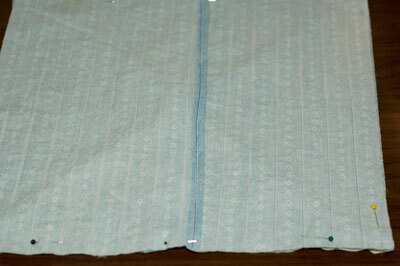 Pin the front of your pillowcase to back with right sides together and the hemmed edges in the middle. The two pieces of the backing will overlap. If you find your edges don't match up trim the excess. Sew all along edges taking out the pins as you go. Turn right side out. Place pillow form through opening in back. Would you like more pillow projects? Check these out. 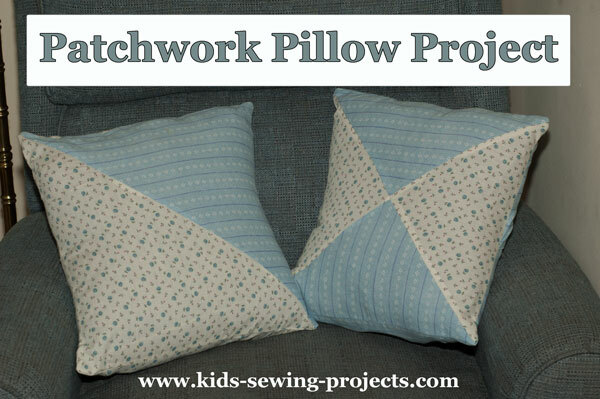 Back to kids sewing projects from Triangle Patchwork Pillows.